The readers of such piece note that the U.S. is actually supporting the terrorists it claimed to be fighting for the last 13 years. Somehow that does not compute. This will put pressure the Obama administration. It can hardly blame Russia and Syria for continuing a campaign against Al-Qaeda even during a cessation of hostility with U.S. supported “moderates”. The U.S. lauds itself over killing alleged Al-Qaeda followers in drone strikes all over the world. How can it blame Russia for doing like in Syria? The PYD is supported because it fights against ISIL. Nusra Front is also fighting against ISIL. Why is it bad?” [the Turkish President Erdogan] asked.AIDS also kills ISIL? Why is it bad? Just in time the BBC is reporting what everybody watching the war on Yemen already knew. Al-Qaeda is fighting together Saudi and other Gulf troops in their assault on the city of Taiz. Since 9/11 the “western” public has been conditioned to see Al-Qaeda as the evil enemy. I do not think that it is possible to eradicate that within a few weeks or month. 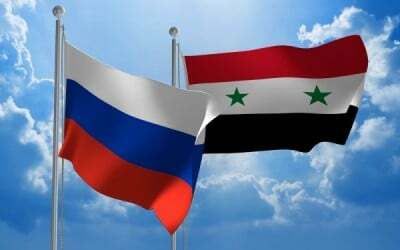 With the push for the cessation of hostilities the Russian/Syrian side has won a major point in the public relation position. It is becoming clear to even average “western” reader that they are fighting real terrorists while the U.S. and its allies support at least associates to terrorists, if not the terrorists themselves.